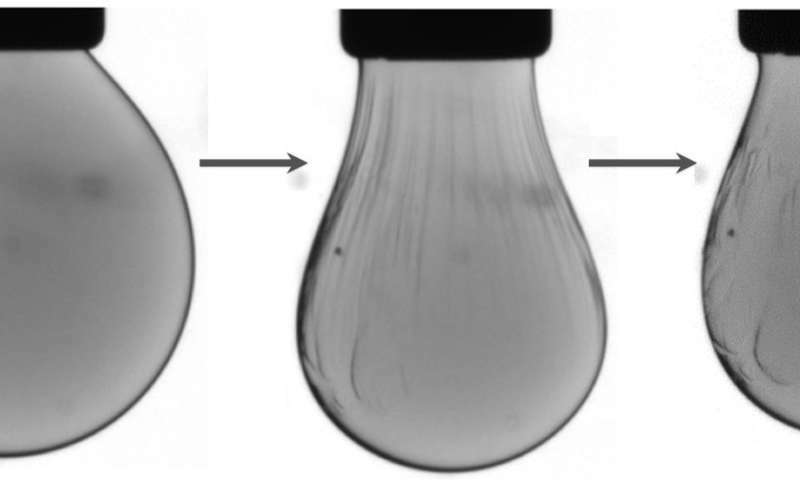 They found that a chemical additive in the droplet can compete with the polymer—like a tiny tug of war—on nanoparticles at the intersection of the liquids. "We were able to watch these droplets undergo these phase transformations in real time," Helms said. "Seeing is believing. We are looking at the mechanical properties of a 2-D liquid and a 2-D solid." The results were published online Aug. 3 in Science Advances. The latest study builds on earlier research by Russell and Helms, visiting researchers, and others in Berkeley Lab's Materials Sciences Division and at the Molecular Foundry to sculpt complex, all-liquid 3-D structures by injecting threads of water into silicone oil. "We demonstrated not only that we could take these 2-D materials and undergo this transition from a solid to a liquid but also control the rate at which this happens through the use of a ligand at a defined concentration," Helms said. 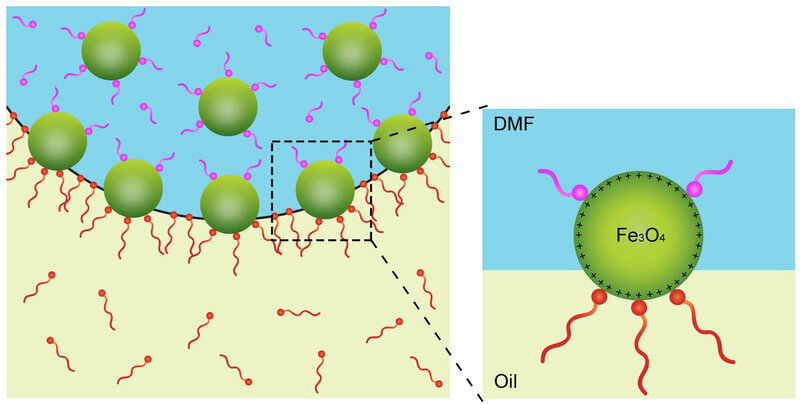 Researchers also found that they could manipulate the properties of the liquid droplets in the oil solution by applying a magnetic field—the field can deform the droplet by attracting the iron-containing nanocrystals, for example, and change the tension at the surface of the droplets. "Essentially you could have the ability to communicate with them—move them where you want them to go, or move electrons or ions to them," Russell said. "Being able to access this by simple inputs is the value of this." 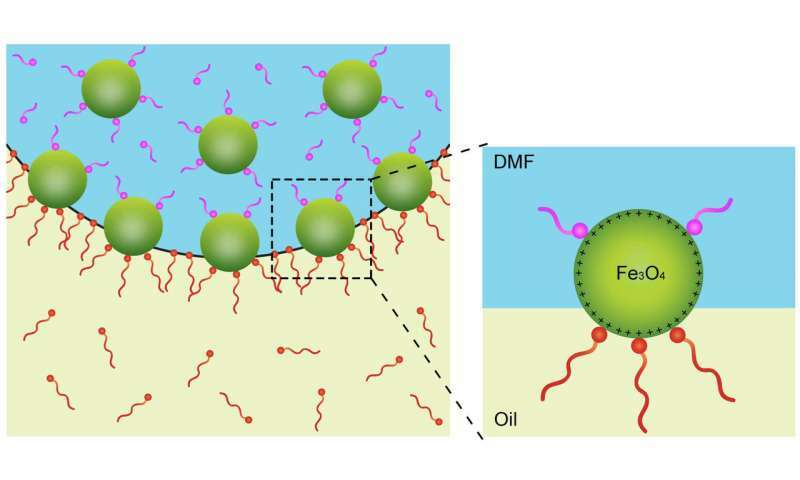 Future research could focus on how to miniaturize the liquid structures for biological applications or for energy applications in 2-D materials, Russell noted.